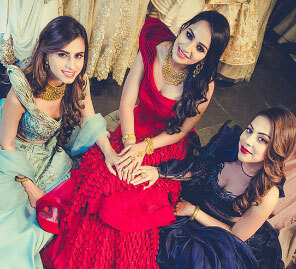 In the last of this three-part series, Ritika Makhijani shares her excitement at being part of the ‘WeddingSutra On Location’ which saw her sashay in stunning lehengas at the Neeta Lulla Studio in Mumbai, and exude impeccable radiance thanks to makeup maestro Kumar Iyer who used Lakme Absolute products. The credit for her lovely hairstyling goes to Laksh Singh. Ritika also wore antique jewellery from Azva and enjoyed a fun-filled photoshoot with ace photographers Namit and Vipul of Knotty Affair. 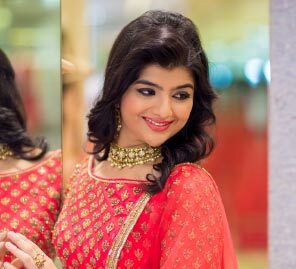 Ritika’s happiness knew no bounds when she was selected for the ‘WeddingSutra On Location’ at the Neeta Lulla Studio in Mumbai. “I have always wanted to be a part of a WeddingSutra On Location. I was also keen to meet various wedding professionals just before my wedding and the bridal makeover and photoshoot were the perfect opportunities." Ritika’s day started with selecting some lehengas and jewellery items. While she adored all the lehengas at the Neeta Lulla Studio in Santacruz, a pale yellow ensemble caught her fancy. “I love light colors and felt that the dull yellow embellished lehenga would work best on my body frame. It was fully embroidered in silver zari and had a boat-neck blouse that I particularly loved. Since the neck of the blouse was quite deep, I wanted to wear a heavy necklace and the kundan one from Azva helped in completing this sophisticated glam look. 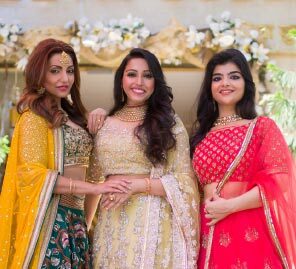 I even added some single gold bangles and statement earrings which nicely balanced the silver work on the lehenga,” shares Ritika. At the time of the photo session with photographer duo Namit and Vipul of Knotty Affair, Ritika was at her candid best, chatting, posing and enjoying each moment of this fun-filled pre-wedding photo shoot. “I would love to thank the WeddingSutra team for such a splendid experience. I was so comfortable shooting with Namit and Vipul of Knotty Affair that I enjoyed every bit of my interaction with them. They not only made me feel comfortable but also made me feel immensely beautiful, which I am sure, will reflect in the pictures,” Ritika recalls with a smile.